I was a mess last week with being sick. I had a fever, runny nose, cough, sore throat and was terribly lethargic to the point where the only thing I did in the first 24 hours after getting home after my fifth 12 hour shift in a row was sleep. I woke up briefly from time to time only to sleep again. I didn’t eat anything for over 24 hours, and I barely drank anything because I was so fatigued. I did, however, manage to drink water and tea. The combination of Tylenol Cold & Sinus, my fever finally breaking at 5am, and tea were the hallmarks of an extended long weekend – along with binge watching Netflix’s You (which I highly recommend watching while slightly delirious with a fever because it makes all of Dan Humphrey’s Joe’s stalker antics hilarious instead of creepy). Obviously I’m feeling a little bit better now as I’m able to put together sentences coherently. The thing that I did think about when I was awake and taking in a psychological thriller is that I haven’t written about the health benefits of tea here. Now, I know we all know that tea tastes great. Of course it does, because why would we continue to grow it, produce it, lovingly store it, and drink tea if it didn’t taste great. I think I can safely say we would all drink something else if tea was disgusting (which is it not). 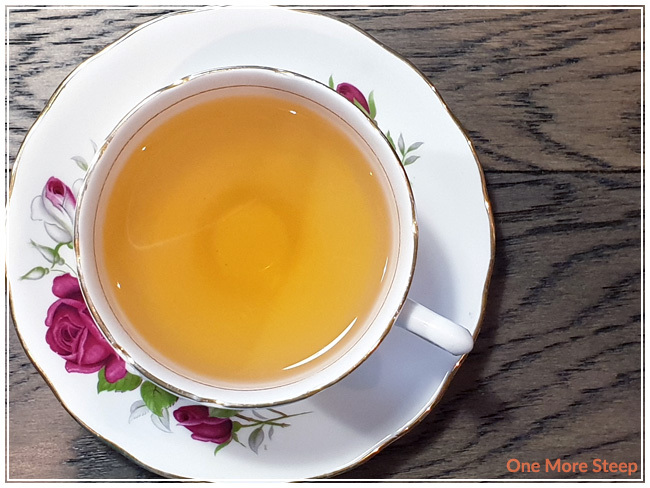 Drinking tea has also been associated with decreasing the risk of cardiovascular disease – heart disease and stroke in particular, and also by improving blood cholesterol levels.¹ I think a lot of it also has to do with the fact that tea drinkers often try to have a healthier lifestyle – either by eating well or exercising. People who drink tea are often more hydrated than those who drink coffee because tea generally contains left caffeine in comparison.² For those who do not know, caffeine is a diuretic which means that it will make you lose water – but taking in more water and less caffeine as it is in tea vs. coffee means that tea drinkers are more hydrated. 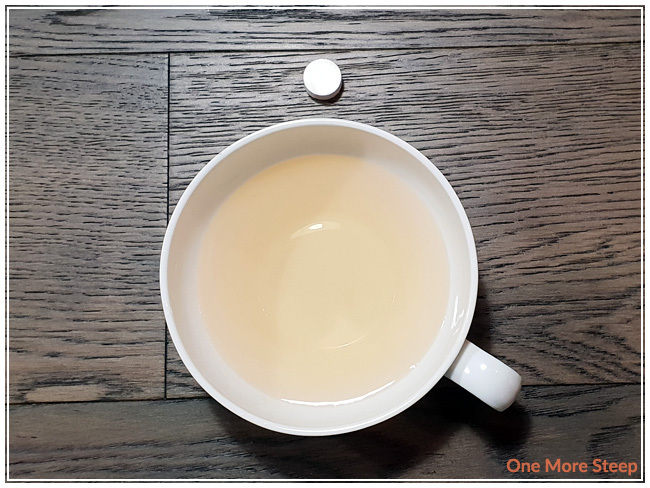 This also result in better weight management because you’re taking in a drink that is high in water, lower in caffeine, and with no calories (unless you’re having a tea latte). 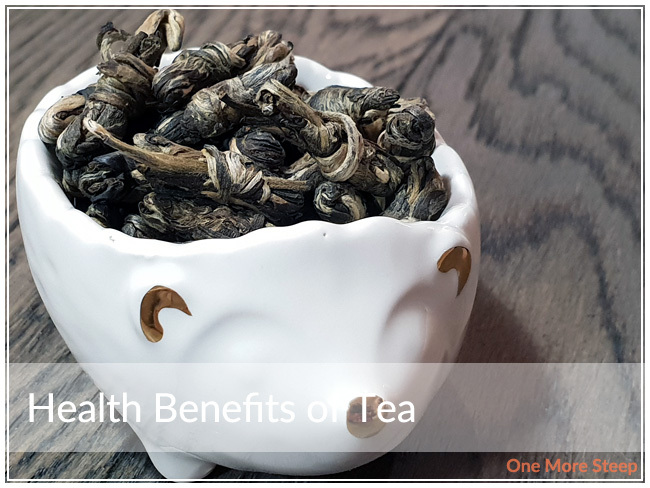 So while you may not get that jolt of caffeine in the morning like a cup of joe might do for you, tea can be a healthy drink choice. Whatever tea you’re looking to drink – the healthiest choice is a straight tea with no added sugars. Keep it calorie free, keep yourself hydrated while lowering your risk of heart disease and stroke. But at the same time, life is all about moderation – it isn’t to say that I’m not going to have a London Fog from time to time (because that would be a lie, I love London Fogs), but it isn’t an every day sort of drink because it’s an indulgence (and a tasty one at that!). We all know that tea is great for drinking, but have you ever thought about bathing in it? I was at a cute little boutique not that long ago and they had huge premade sachets labelled as “tea baths”, which prompted me to go online to see if this was actually a thing (spoiler: it is!). 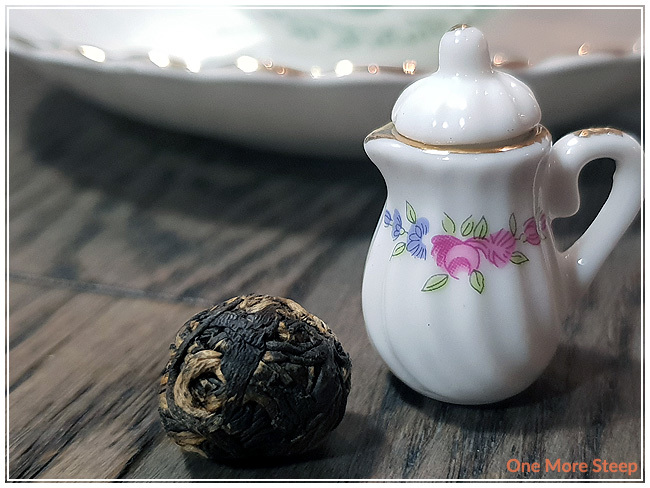 Most tea baths out there don’t actually contain tea leaves, but calling it “tisane bath” just doesn’t have the same ring to it. Tea baths are good for relaxation, soothing sore muscles, and just help to add a bit of glow to your skin. Creating a tea bath is as easy as taking a look through your tea stash to see what you have available. 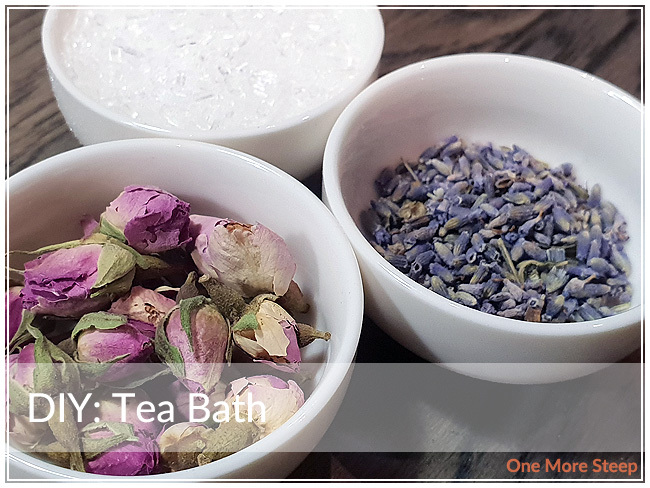 I utilized epsom salts and herbal ingredients as well tea in creating my Tea Bath. Tea Baths are definitely a bit of a luxury and aren’t an every day event, but it’s nice to treat yourself from time to time! You can even opt to have a Tea Bath on a smaller scale and do a foot soak in it one as well. Tea Baths are easy to make ahead and might make excellent presents – and Valentine’s Day is coming up! You can create a mix in a jar and wrap a cute ribbon around the lid…. Just sayin’. ¹ I oversteeped some green tea on purpose for my Tea Bath, I’m not worried about the tea tasting astringent since I am not drinking it. I would recommend using straight/plain green tea. 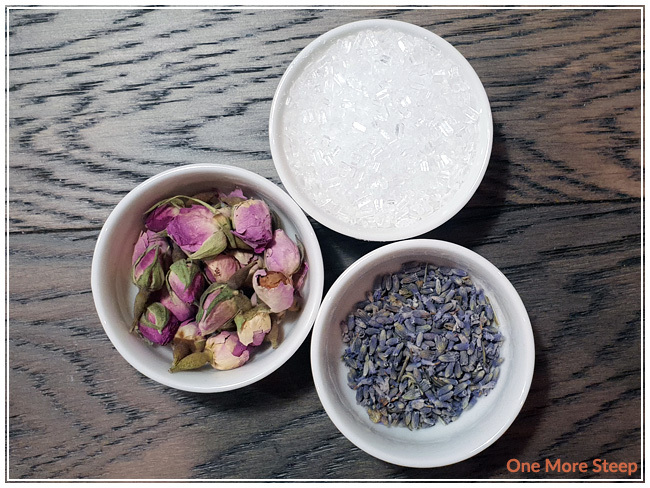 ² I used 1 tablespoon each of lavender buds and rose buds (you could also use rose petals). Some other floral ingredients that you may want to consider using include chamomile or jasmine petals. I would avoid heavily coloured flowers, like hibisicus, because they may dye your skin (or towels… or bath tub…). As you prepare to draw the Tea Bath, put the floral ingredients into the tea bag and cinch it close. I added the epsom salts to my tub as the water was filling, to help the epsom salts dissolve. After I turned off the water, I added the steeped green tea and then the tea bag with the floral ingredients. You can opt to put the flowers directly into the water if you want them floating around you, but the tea bag does make cleaning up after your Tea Bath a lot easier. If you are opting to do a foot soak instead of a full Tea Bath, use ½-1 cup of epsom salts in your foot bath. Epsom salt helps to relieve inflammation your muscles, and soothe sore muscles. It also helps to soften your skin and promote relaxation. 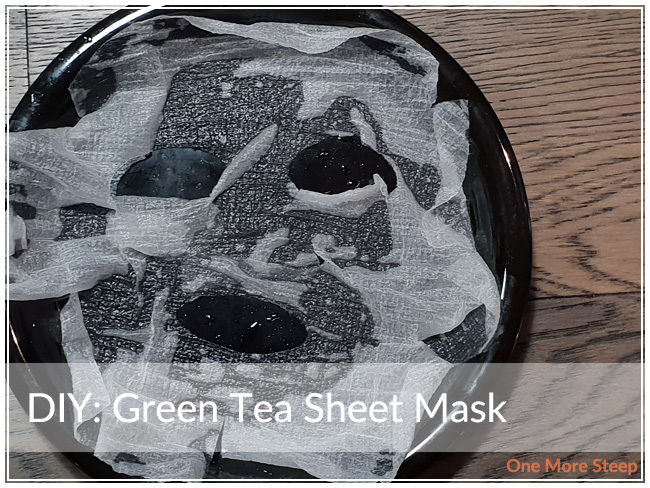 Green tea is an antioxidant, it helps refresh your skin for healthier glow. Lavender and chamomile are both flowers that promote relaxation, relieve stress, and help refresh the skin. Jasmine helps promote relaxation, helps soothe sore muscles, and refreshes your skin. Rose buds/petals contain antioxidants, can reduce redness in your skin, and softens and helps to refresh the skin.